Whoa… 5:30 AM already? My mind was hazy whilst Suna and I ate a quick bite before driving the 70km back from my parents to our apartment in Nieuw-Vennep. Our voices sounded hollow in the empty apartment – sold off most of it in the previous months. The moving van arrived, and work went swiftly. Had to walk down to the Albert heijn downstairs for a tray of their complementary coffee at 8 am. Thanks Albert Heijn! The crew packed the boxes, we dropped the key off and were on the move. 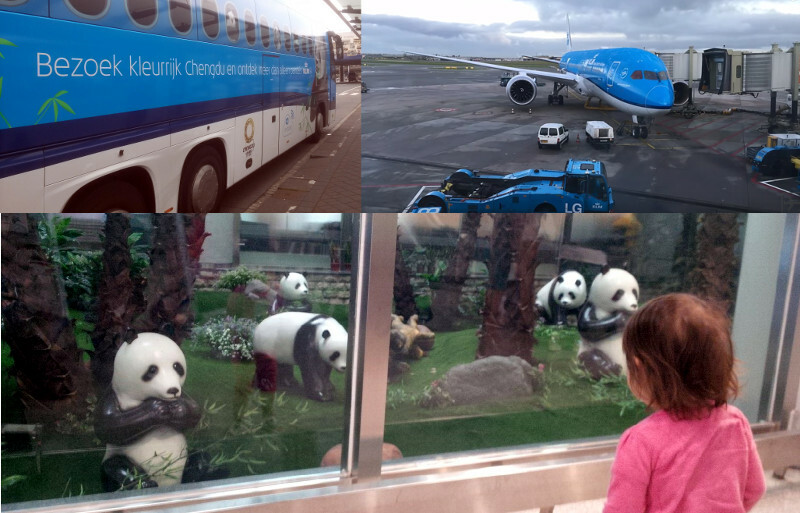 At Schiphol we found a bus which was campaigning our new destination: Chengdu! Famous for Panda’s KLM now offers direct flights with it’s new dreamliner planes. 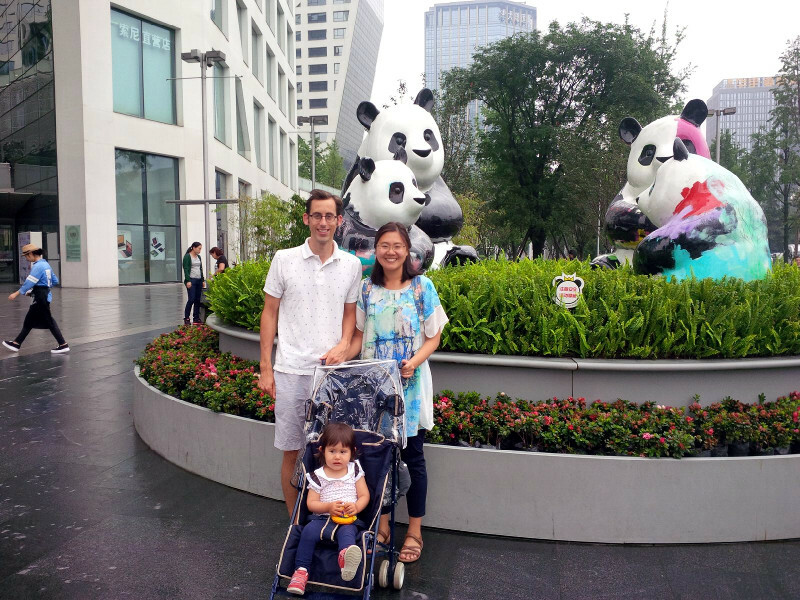 After living in China until 2012, we kept returning (2013 and 2014) for holiday to meet up with friends. But todays trip to the P.R.C. isn’t a holiday; we moved back! Currently residing in a hotel and exploring the city tomorrow to find a place to live.